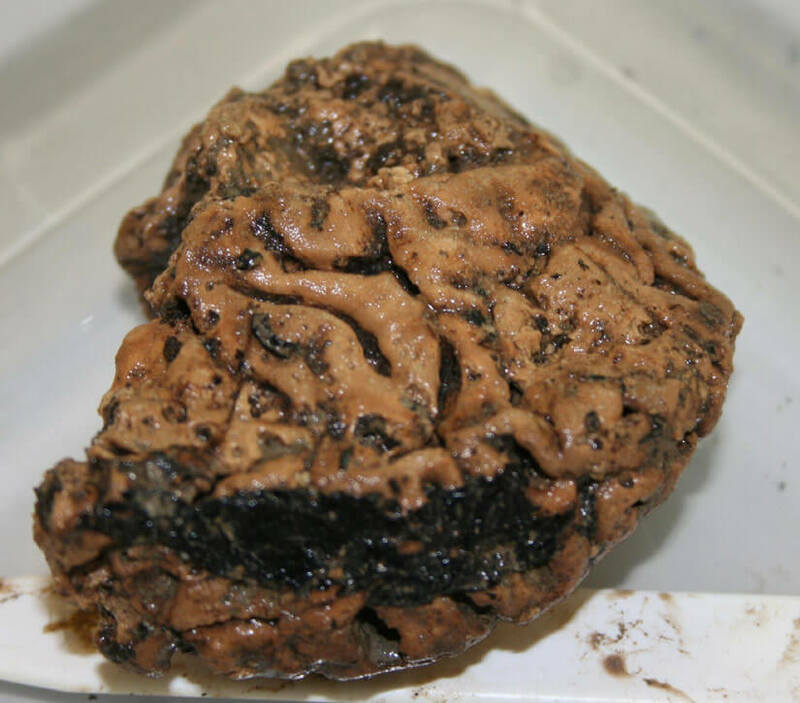 Archaeologists believe they have discovered one of the world’s oldest brains that once belonged to a man in Iron Age Britain who was sacrificed in a ritual killing. Scientists found the cranium in a muddy pit when they were excavating a site before a new campus was to be built at the University of York. When a researcher reached inside the skull, she was stunned to discover the soft tissue of the 2,500-year-old brain still preserved. Fractures and marks on the bones suggest the man, who was aged between 26 and 45, died most probably from hanging, after which he was carefully decapitated and his head was then buried on its own. Scientists have been baffled by how the brain tissue – which usually rots after a couple at years – managed to remain intact for so long. ‘The survival of brain remains where no other soft tissues are preserved is extremely rare,’ said Sonia O’Connor, research fellow in archaeological sciences at the University of Bradford. Experts from York Archaeological Trust were commissioned by the university to carry out the exploratory dig last year before building work on the £750million campus expansion started. They discovered the solitary skull face-down in the pit in dark brown organic rich, soft sandy clay. The university put together a team of scientists, archaeologists, chemists, bio-archaeologists and neurologists, to establish how the man’s brain, could have survived when all the other soft tissue had decayed leaving only the bone. The team is also investigating details of the man’s death and burial that may have contributed to the survival of what is normally highly vulnerable soft tissue. The research, which was funded by the University of York and English Heritage, is published in the Journal of Archaeological Science. Since the discovery, the brain and skull have been kept in strictly controlled conditions, but scientists have examined samples using a range of sophisticated equipment, including a CT scanner at York Hospital and mass spectrometers at the University of York. Samples of brain material had a DNA sequence that matched sequences found only in a few individuals from Tuscany and the Near East. Carbon dating suggests the remains date from between 673-482BC. Fractures on the second neck vertebrae point to some kind of trauma before the man died and and a cluster of about nine horizontal fine cut-marks made by a thin-bladed instrument, such as a knife, can be seen on the front of the brain. Scientists are now investigating how lipids and proteins found in the brain preserved the brain and what happened between the man dying and his burial. Dr O’Connor said: ‘It is rare to be able to suggest the cause of death for skeletonised human remains of archaeological origin. The preservation of the brain in otherwise skeletonised remains is even more astonishing but not unique. Despite the place that ‘trophy heads’ appear to have played in Iron Age societies and evidence for the preservation of human remains in the Bronze Age, the researchers say there is no evidence for that in this case. They found no marks indicating deliberate preservation by embalming or smoking.